All public areas of the Marion Palace Theatre and certain seating areas are accessible by wheelchair and walkers. Please notify the box office at the time of your ticket purchase so that accessible seating is reserved. Please ask the ushers for assistance to your seat and they will be happy to help you. 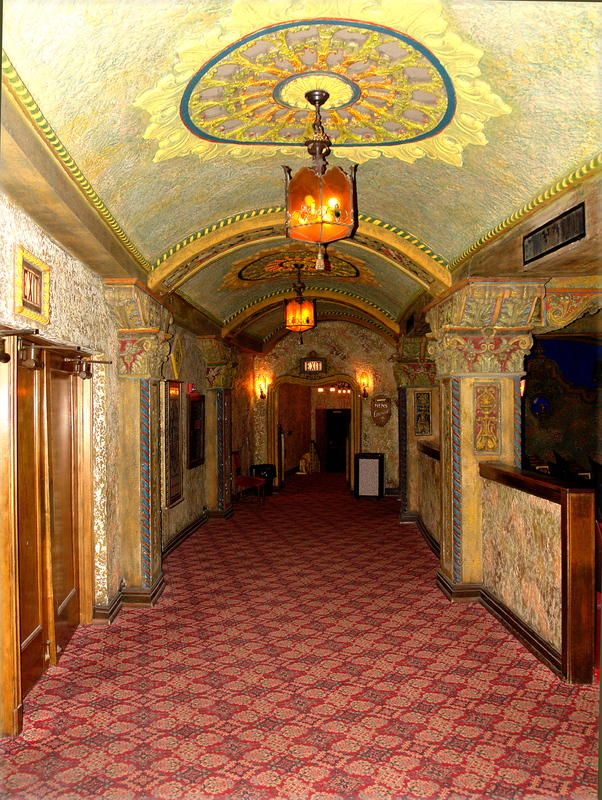 An elevator is located in the May Pavilion adjacent to the historic theatre. This provides access to the balcony level. Please be informed the balcony is not accessible. Handicap accessible parking spaces are in the parking lot to the West of the May Pavilion, located just beyond the Palace Theatre. These are available on a first-come, first-served basis. A handicap accessible restroom facility is located in the main level promenade on house left, with additional handicap accessible facilities available on the lower level of the May Pavilion. The Palace also has a limited number of assisted listening devices available on a first-come, first-served basis. These are available at the ticket kiosk in the lobby at each performance. Notify the House Manager for assistance. A Sign Language interpreter can be made available upon prior notification. For personalized service, hearing impaired individuals may contact the Palace via email (tickets@marionpalace.org) for information and/or ticket buying needs. Open captioning of newly released movies are shown on Sunday afternoons. Open captioning can be made available during other show times upon prior notification. Large print programs are available upon request.